Mondelez International has appointed Martin Renaud as global chief marketing officer. Renaud was previously president, fresh dairy for Europe at Danone. He fills a role left vacant since the departure of Dana Anderson last May. It has also created four new regional chief marketing officer roles, with Debora Koyama becoming regional chief marketing officer for Europe. Koyama joins from AB InBev where she was global marketing vice-president for Stella Artois and craft. Snap has poached Facebook's Ed Couchman to be its UK general manager. Claire Valoti, who was recently promoted from UK general manager to be vice-president of international sales at the Snapchat owner, previously worked with Couchman at Facebook. Couchman, the director of agency partnerships at Facebook in the UK, has worked at the social media giant for six years. He will start at Snap in June. Facebook is expected to replace Couchman but members of the agency team will cover his duties for an interim period. Irwin Gotlieb is stepping down from his role as global chairman of Group M and is moving to a senior advisory role with WPP. Kelly Clark, who was named global chief executive of Group M in 2016, will continue to lead the company. TUI's UK and Ireland marketing and customer experience director Jeremy Ellis will leave the holiday company at the end of May. Ellis has been at TUI, formerly called Thomson Holidays, since joining as a graduate in 1991. He has held a succession of product development, CRM and marketing roles, and was promoted to his current position in September 2015. He will be replaced by Katie McAlister, currently digital director group and northern region, who will join the board as chief marketing officer on 1 June. McAlister has herself spent 19 years at the company, in digital and commercial roles. MediaLink has recruited Nick Manning to be senior vice-president in London to drive European expansion. He will be a British face for Michael Kassan’s US media consulting business which is looking to expand internationally after being acquired by Ascential, the owner of Cannes Lions, a year ago. Manning was most recently chief strategy officer of Ebiquity, where he led much of the media auditing and benchmarking firm’s work on transparency, and he previously co-founded Manning Gottlieb OMD. Richard Hill has been appointed chief strategy officer at M&C Saatchi Shop. He joins from Atomic London where he was founding partner and chief strategy officer. Sara Cremer, chief executive of Redwood, has decided to step down to "explore a portfolio career", according to a statement. She has started as a trustee of the Maudsley Charity and will leave Redwood at the end of April. Cremer has been at Redwood for 10 years. Her successor will be Colin Kennedy, currently chief creative officer and managing director. Prior to joining Redwood, Kennedy has spent two decades as an editor in consumer media. McCann London has nabbed creative team Drew Singleton and Ben Buswell from Grey London. The pair, who join as senior creatives, created the award-winning "Eyes print campaign for The Times. The agency has also promoted new business director Elizabeth Bernstein to head of new business. 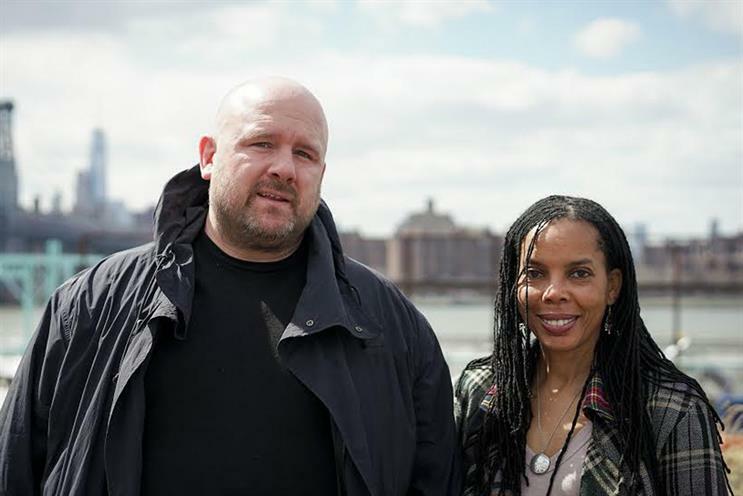 Vice has named two new group creative directors to lead the youth media company's in-house creative team. Donna Lamar joins from Twitter where she served as creative director, Twitter #Studio, and David Lennon joins from Wall Street Journal's custom studios where he served as global creative director. Starcom has promoted Elliott Millard to managing partner, head of planning, at Starcom UK and appointed Kay Martin as managing partner, clients. In a newly created role, Millard, previously managing partner, clients, will now be responsible for all UK planning. Martin re-joins the Publicis Groupe after five years at Havas, bringing her 13 years’ media experience. RSA Films, the global production company founded by directors Ridley and Tony Scott, has expanded with a joint venture with Bare Films. The deal means Bare Films has been renamed Darling at RSA and joins the UK commercial production arm of RSA Films. The team will be led by joint managing directors Clare Timms and Kelly Doyle, as well as head of new business and executive producer Kat Downs. Darling’s team will also include directors representative Phoebe Court-Thomas and production managers Carla Terranova and Olivia Marcel. Passion Animation Studios has signed director Jimmy Kiddell to its roster. Kiddell joins from The Mill and has previously worked on projects for Audi, Johnnie Walker, Range Rover and Netto. Filmmaker and artist Arthur Jafa has signed with Stink Films for global representation. Jafa is known for his 2016 project "Love is the Message, the Message is Death", a seven-minute video set to Kanye West’s Ultralight Beam and exploring African-American identity, which screened across the world. In 2017 he also conceived, shot and edited the music video for Jay-Z’s 4:44. The Gate London has appointed former Jaywing’s Epiphany director Kerry Fyans as head of media. Fyans has 17 years’ experience working in media agencies. She spent 10 years in various roles at the Dentsu Aegis Network. Dessert brand Pots & Co has appointed Charlotte Green as its new marketing director to grow the brand. She has most recently worked for Divine, the fairtrade and farmer-owned chocolate company, as marketing director. Provision Events, the sponsorship activation specialist, has recruited Matt Lomasney, former head of production at Because Experiential Marketing to head of production. Lomasney had been with Because for five years. Above and Beyond has promoted brand services director Tom Bedwell to the newly created position of managing director. Bedwell joined the agency in July 2016 from McCann London, where he was managing partner. Adtech company RhythmOne has appointed Ajay Daved as programmatic director and Jenny Thomson as client service and operations director. Daved was previously head of programmatic at YuMe, acquired by RhythmOne in February. Thomson was previously advertising operations director at Trinity Mirror. The Advertising Standards Authority has named Zaid Al-Qassab, chief brand and marketing officer, BT Group as its new industry council member. Media consultant Aaqil Ahmed and Planet Communications and Caya director Nita Patelas have been appointed as independent members. All three members will judge both broadcast and non-broadcast ads and will begin their terms in April 2018. The new appointments will be replacing former Procter & Gamble marketer Roisin Donnelly, Sainsbury Family Charitable Trusts director Alan Bookbinder and home tutor Rachel Childs who have come to the end of their terms. Konica Minolta Marketing Services (KMMS) his hired Catherine McPherson for the newly-created post of head of planning and strategy. McPherson joins from Grey London where she was a strategy director. She will report to Matt Wright, director of agency at Konica Minolta Marketing Services.